Beachcombers Bazaar Henna Studio and Supply: Boatload of New Bindi Just In! That's right! 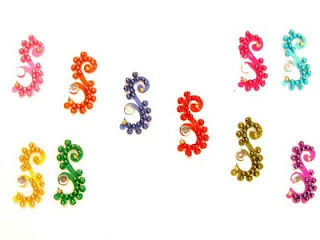 We just listed a bunch of new bindi body stickers! There are traditional Indian bindi styles and exciting new modern bindi designs. 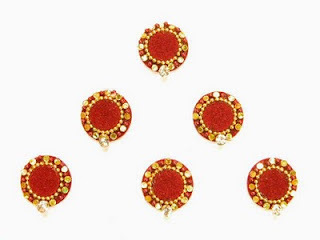 These dark red bindi have the coolest iridescent gold accents. They must be seen in person to really appreciate. I LOVE the shape of these bindi. I'm also a big fan of fun bright colors, so these scream my name. Gorgeous! 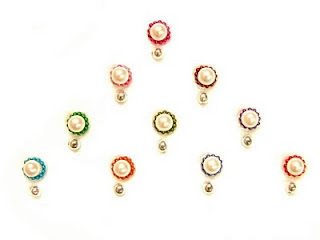 Pure white pearls are accented with bright jewel-tones micro beads. I'd totally wear them in groups. They would also be so cute in the hair. Remember, bindi are all about making them your own. Get creative with them! Do something unusual! Have FUN! Check out our new Indian bindi here.